Flint Group has launched a new flat top dot plates, the nyloflex FTH digital plate for flexible packaging printing. 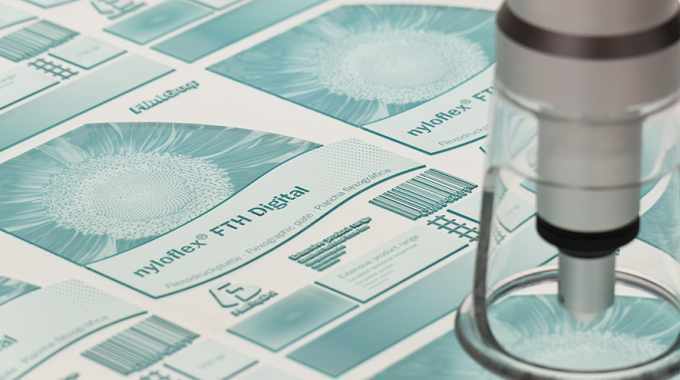 The inherent flat top dot surface of the nyloflex FTH digital plate is achieved without additional processing steps or consumable items. Exposure with either standard tube or LED UV-A light results in a flat top dot surface on the plate, which can be texturized with the latest surface screening technology to create a customized surface pattern to meet the specific requirements of the printer. The resultant micro-textured surface of the plate provides excellent ink laydown and improved solid ink density on flexible foil substrates. The nyloflex FTH digital plate prints with sharp highlight detail due to the very hard durometer of the plate. Its optimized formulation imparts special characteristics, including anti ink fill (AIF) properties, which allow for cleaner running plates with increased press uptime and solvent resistance for longer lasting plates and consistent print.